I've never read very much at all about China. I know very little about its culture and people so I was intrigued when I saw this quote on the copy that I had: "One need never have lived in China or know anything about the Chinese to understand it or respond to its appeal. "—Boston Transcript. I believe now after reading, The Good Earth, that it definitely lived up to the claim in this quote. It is an excellent classic with imperfect characters, landscape and a range of emotional qualities that will live on in my memory for years to come. "Wang Lung, hearing her voice for the first time, looked at her back as she stood before him. It was a good enough voice, not loud, not soft, plain, and not ill-tempered. The woman's hair was neat and smooth and her coat clean. He saw with an instant's disappointment that her feet were not bound." O-lan was simple, did simple things, hardly talked and seemed to be the perfect Chinese wife. Yet she faced incredible challenges as Wang-Lung's wife and had to make immensely hard choices, perhaps in her mind, for the greater good. For this reason, Wang-Lung prospered for a time but eventually it had a cost. O-lan wasn't perfect but she was endearing. "But Wang Lung thought of his land and pondered this way and that, with the sickened heart of deferred hope, how he could get back to it." In the end, I felt a sadness about Wang-Lung's family and all that transpired within the story. I related to it. I highly recommend it. Just a note: Last year, Jen and Amanda wonderfully reviewed The Good Earth by Pearl S. Buck. Amanda already pointed out in her review that there are spoiler's in Jen's review. That's the passage I remember most about O-lan, too. That one at the picture of her showing Wang Lung the jewels she looted, looking like a little child when she did. One of the most memorable parts of the book to me was when O-lan went back into the fields only hours after having her baby. I just remember being blown away by that. Nice review. Sorry, I must be dumb, but is that woman in the photo Pearl Buck? I can't believe I've never read this book, I've heard so many good things about it. I think it is a book that I would have really loved had I read it in high school or even college, but it didn’t do much for me when I read it a couple of years ago as an adult. O-lan's story was heartbreaking, but overall, I found the plot to be so perfectly linear, and the characters stayed pretty much the same from beginning to end, that it seemed flat. This sounds so good! It's on my very long list for this year but it sounds like I need to move it up. Thanks for this review! I'm not sure how much I would get out of this book on reread. I enjoyed it very, very much the first time, though. Thanks everyone for your comments. This is the first time I had read this book so this is my first impression. Thanks for all of your insights. 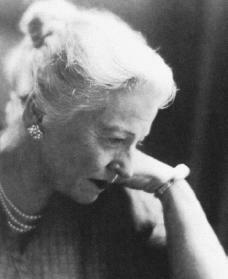 Lula, the photo is of pearl s. buck and I don't think your dumb. It's my fault because I was unable to put a little caption under it properly.